A beautiful large cable jumper with cropped sleeves and cable feature on the front and back. 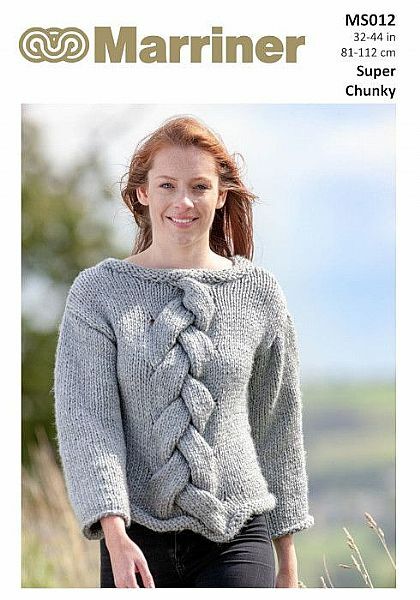 The perfect cosy winter jumper. Hooks required Two 10mm (UK000 - US15) knitting needles. Stitch holders. 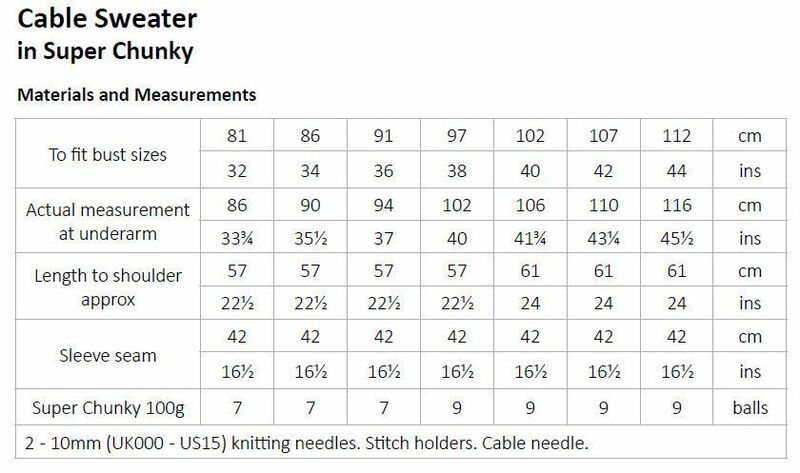 Cable needle.